When it comes to boosting your organic search performance, links have always played a significant role. Since the past few years, optimizers have built them in any way they could, legitimate or illegitimate. Off late, the search market has adapted to algorithmic shifts and they’ve adopted a content marketing strategy towards link building. This is a specific move which led SEOs and brands to create large amount of content with the sole purpose of driving organic search performance. If you’re concerned about how you can make link-building efforts through content marketing even more successful, here are few tips to consider. You must be aware that you require engaging the target audience through the entire journey of purchase and any strategy which you adopt should outline how you can accomplish this. In order to measure success, a clear frame is needed which separates business and channel KPIs. For instance, owned KPIs are volume of linking domains, engagement metrics, domain authority like bounce rate and time on page. Social KPIs like likes, shares and tweets. If you wish to design content which builds a good connection with your target audience, you should understand your audience through personas, ideally through emotional intelligence and define whether or not the purpose of the content is to engage new audience or retain old audience. Apart from content which educates, inspires, informs and rewards, 85% of people anticipate brands to offer content which tells stories, entertains and offer solutions. In order to be truly useful to the target audience, it is important to use an earned, shared and paid approach where we identify who and where the audiences are, when you should actually talk to them and with what sort of messaging. You have to design a collaborative approach where content will not operate in silos and where teams cooperate around a plan of single content. Hub, Hero and Hygiene will be few of the most widely accepted frameworks. 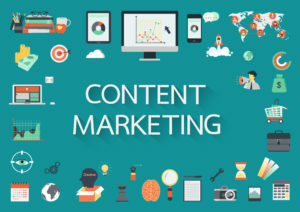 Therefore, if you’re worried about how you could maximize your content marketing performance, you should take into account the above mentioned tips. The better is your content marketing strategy; the more will be the revenue that you earn.